Join the community of La Grande on August 26th at the 20th Annual Drug Free Run which raises funds to support substance abuse prevention activities in Union County. 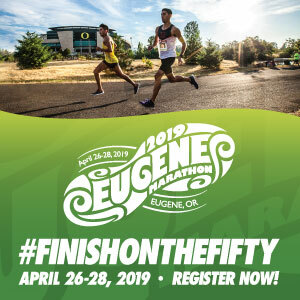 Take your pick and run the 10k, the 5k, or the 1 Mile Fun Run/Walk. This event, sponsored by the Union County Safe Communities Coalition, is a very family-friendly race that caters to all ages and fitness levels. The run has a different start location this year than it has in the past. Please plan on coming to Mt Emily Recreation area where the race will begin and end at Owsley Canyon Trail Head. Check out the course map here. The t-shirts for this race are included in the registration cost of for the 5k and 10k, and are produced locally. However, you must be registered by Monday August 14th to get yours, so register now. Register: Here. Online registration ends at 8:00PM on August 25th. 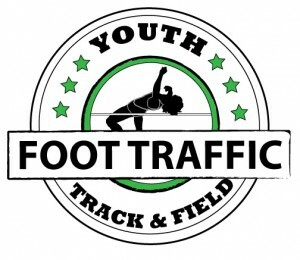 Registration Cost: $25 for 5k and 10k ($10 for youth 12 & under.) T-shirt is included if registered before August 14th. Cost of registration increases $5 on race day and t-shirt will not be included. $5 for 1 Mile Fun Run/Walk, no t-shirt included. Cost of registration increases $2 on race day. Late Registration & Packet Pick-Up: 7:30AM to 8:30AM Day of Race. All participants are strongly encouraged to Pre-Register to avoid long registration lines on race day. If you enjoy running in the dark, there’s a great night run also on August 26th called the Light It Up 5k. All proceeds from this race benefit the Boys & Girls Club of Western Treasure Valley and it’s a fun glow-in-the-dark run through Ontario, OR. Racers wear light-up costumes of their own design along with volunteers and party goers along the sidelines to help lead the way. The after-party is worth the journey, with a DJ, dancing, food, and drink to celebrate your victory at the finish line of this race. There will be awards, of course, including best costume, so all racers are encouraged to go BIG. Bring a blanket and some lawn chairs to kick back after the race is complete. Register early as this race will fill quickly!! Registration Cost: $35 for individuals, $32 for teams. Custom shirts are included but sizes and quantities are not guaranteed. Late Registration & Packet Pick-Up: August 26, 6:00PM-9:00PM. Please come early!